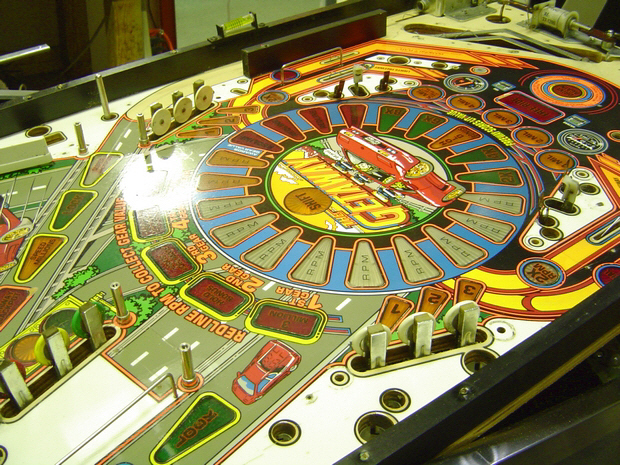 With the playfield cleaned, waxed and polished we can now put everything back together. 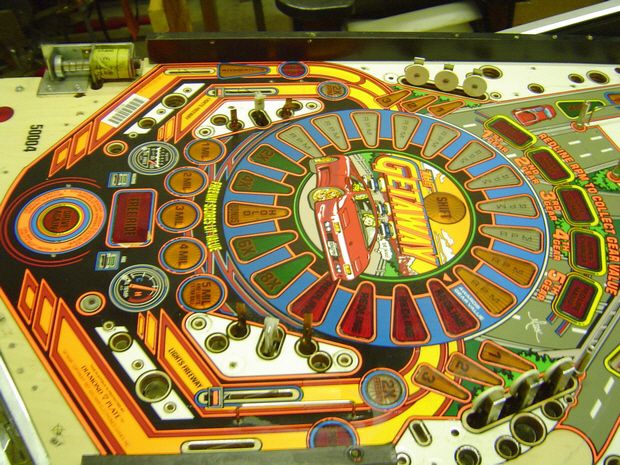 The underside of the playfield and inside cabinet is vacuumed and cleaned. The exterior cabinet is repainted and touched up. Along the way the coin door is also cleaned and repainted for a nice shine with new locks installed. 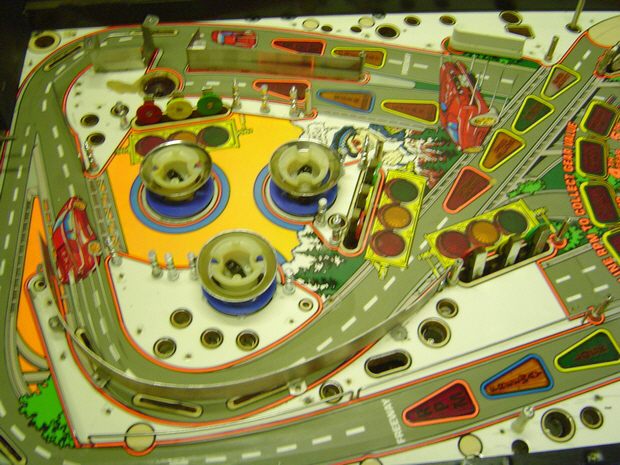 Any playfield plastics, posts, ramps that were chipped or broken were replaced with new ones. All new fresh rubber was installed along with new bulbs and flasher bulbs. 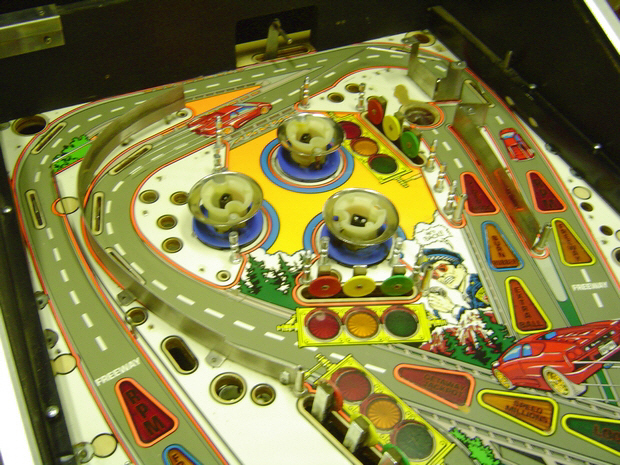 The flippers and pop-bumpers were rebuilt. 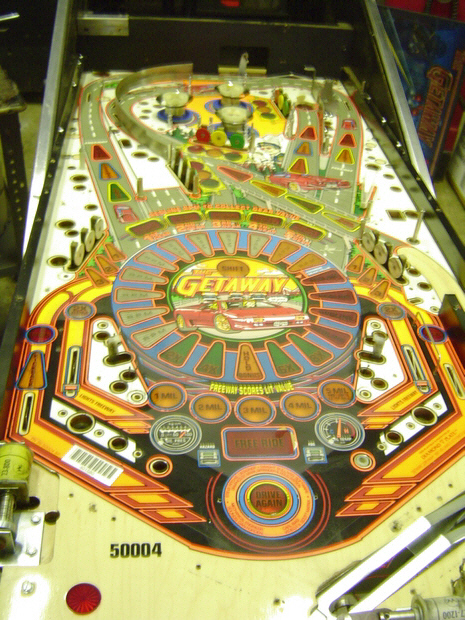 Broken switches and anything else suspect on the playfield was either replaced or fixed. The electronics were checked and tested by our tech's and the power supply was rebuilt to ensure a robust long life. The most up to date game ROM's were also installed. We ensure everything we sell is meticulously gone over with the same care and effort as if they are going into our home. We spend an average of 40 plus hours on a typical game like this one from start to finish and will also test the game to make sure it gets our approval. 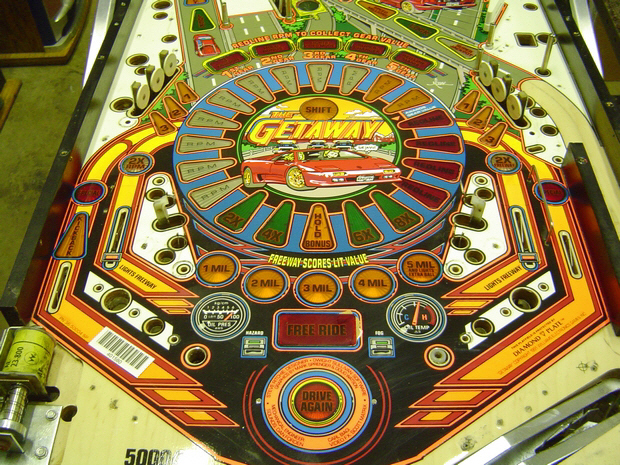 We will carefully deliver your game to your home and set it up for free play. We will also give a small tutorial on how to operate your new game. Finally, we back everything we sell with a 100% complete parts and labor warranty with full technical support.